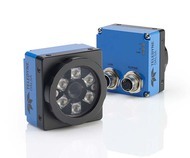 Teledyne DALSA has announced the BOA Spot ID vision sensors. BOA Spot ID combines 1D/2D code reading with OCR and verification tools for a number of product identification and verification applications, including quality control, traceability and logistics management, and product validation. This entry was posted in CAD-CAM-CAE on October 31, 2016 by Sharmila Guha.